Information technology seems to be full of acronyms nowadays but there’s one in particular that you should be interested in – SSD, which stands for Solid State Drive. This has become a mainstream technology in a relatively short space of time and it’s something that everyone needs to understand. Simply stated, an SSD does the same thing as a conventional hard disk drive (HDD) but with once crucial difference – there are no moving parts. In a conventional HDD, information is stored magnetically on one or more disc platters (typically multiple platters stacked together, known as a spindle) that spin at high speeds. A reading & writing ‘head’ moves back and forth across the spindle between the platters to locate the area on the disc, or discs, where the information needed is stored or to be stored. If the piece of information you want is on a section of the disc that has just spun past the head, then you have to wait until it comes around again. Although the disc spindle is spinning very fast (typically up to 10,000 times a second), that’s still an enormous amount of time in computing terms, where electrons are moving about at the speed of light. It’s this spinning of the discs and the movement of the head that is the limiting factor when it comes to how fast the disk drive is. Enter the SSD. Instead of using moving parts, the information is stored on what’s called flash memory, which is a special type of memory chip that remembers what information it has stored even when the power is removed. Not only does this eliminate the limitation of moving parts but it also means that information in any one part of the ‘disk’ is accessible just as quickly as information in any other. Another advantage that SSDs have over their moving parts cousins is fragmentation. On a conventional disk, information is stored sequentially to begin with, i.e., the 1’s and 0’s are written one after the other in contiguous blocks. This makes it faster to read back the data, since you just park the head in place and read it all very quickly as the disc spins. However, as data is written, deleted and written again, the data tends to end up being fragmented into smaller chunks that are located on different parts of the discs. This means that the head must go and find the data from multiple locations across the disk, which means more rotations of the spindle and more movement of the head – all of which takes time. With SSDs, it doesn’t matter where the data is located – it’s all retrievable just as quickly regardless of where it is. 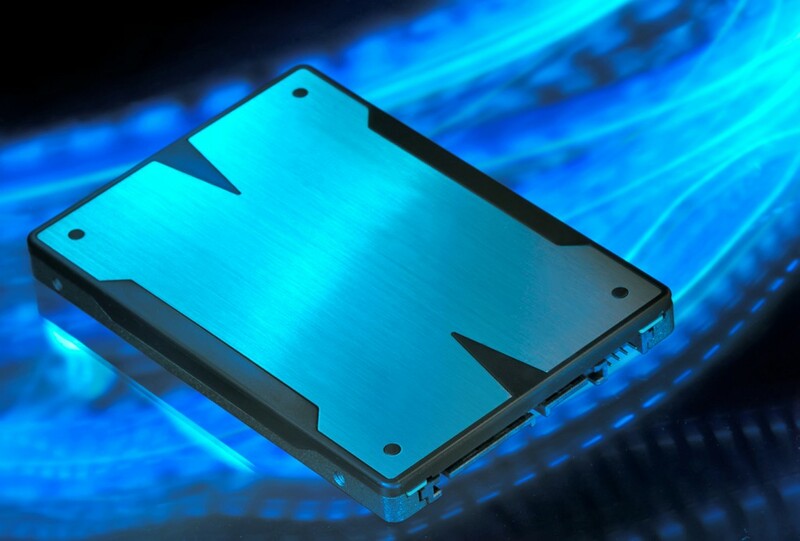 With no moving parts to worry about, SSDs are also more physically durable. They aren’t susceptible to the shock of being dropped or knocked, which can cause problems with disks that have moving parts. An added bonus is that SSDs are virtually silent. No moving parts means no noise. The HDD has served us well but with all the limitations stacked against it, it’s time for it to step aside and to make way for the SSD. When it comes to storing your data, SSDs are definitely the way to go!